Add some fun to your planner, travel journal, cards and more with this officially licensed Harry Potter Chibi Washi Tape Set. Finish edges, embellish gifts or just add a splash of color to just about anything with this set of tape featuring beautiful foil accents. Each package contains 1 roll that is 10m x 15mm wide and one roll 10m x 5mm wide. 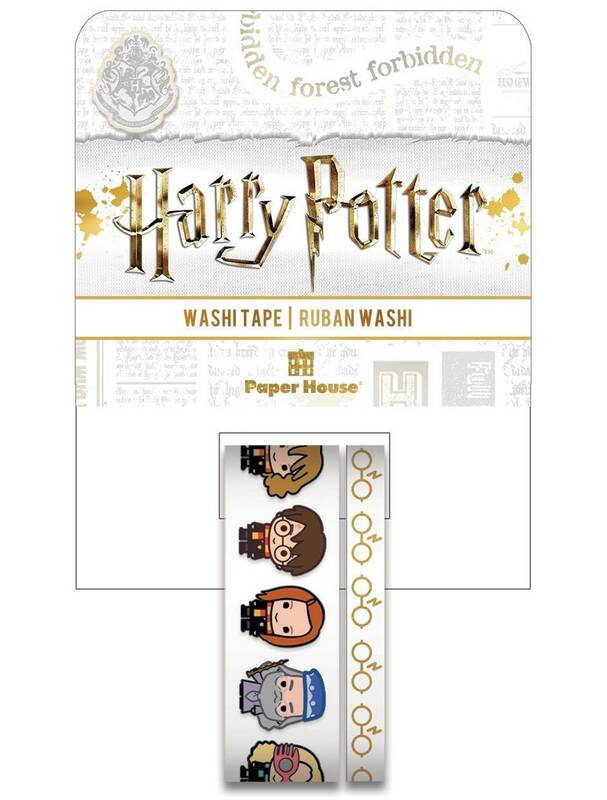 Cute Washi Tapes, a perfect addition for any Harry Potter fan. Super cute and arrived in a timely manner.